For most of those Fungiphiles* out there, 2003 must of been tantamount to a complete disaster and it wasn’t that different for amateur and professional mycologists* either. 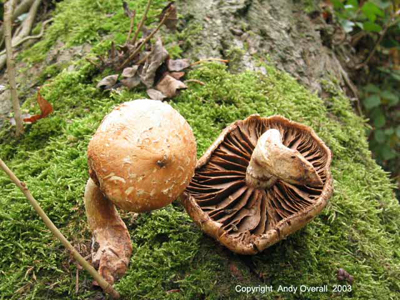 Autumn 2003 was for me the worst mushroom season that I have so far witnessed. 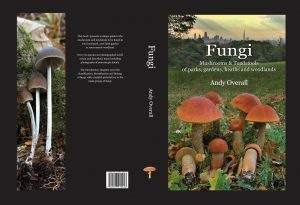 Not dissimilar to 2002 it was the mycorrhizal* fungi that suffered most and it was the lignicolous* fungi that prospered. Not Surprisingly though the very dry and warm conditions throughout the summer and autumn of 2003 helped induce the growth of some particular species that may not of fruited had the climatic conditions been different. These species may not of been of interest to the collector of solely edible mushrooms but to myself they were exciting discoveries. So here are some of the fungi that made this autumn all worthwhile. Ganoderma lucidum is rare in Britain so this was a most unexpected and exciting discovery upon Hampstead Heath making it a new record for the area. I have found it on only 3 occasions during the past 10 yrs and one of those was in Spain, the other being Epping Forest back in 1998 where it has been recorded before. This fungus is highly revered in both China and Japan as a powerful medicine that enhances the immune system and bolsters the spirit. Lentinellus vulpinus took some time to identify and confirm, as this fungus can be quite variable in appearance from having a smooth shiny cap, to how it looks in the picture above, with a hoary (tomentose) appearance, with the help of Pete Roberts at Kew and Ronald Peterson of Germany, the species was confirmed. This is a very rare species in this country and also in other parts of europe. This was a new record for me and for Epping Forest also, where it was found on a dead fallen beech tree. This fungus has a strangely aromatic odour which seemed familiar but I couldn’t quite place it. 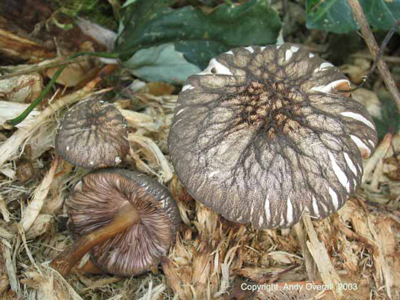 Pluteus umbrosus is a species that I first found last year on Hampstead Heath, it is one of the most striking of the genus Pluteus with its vein like streaky cap and dark lined gill edge. 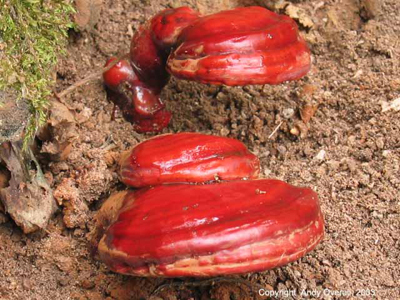 P. umbrosus is an uncommon species found on very rotten stumps or fallen trees. This specimen was found in Tower Hamlets Cemetery Park on a a very decayed Sycamore section, the one and only record from my walks this year. 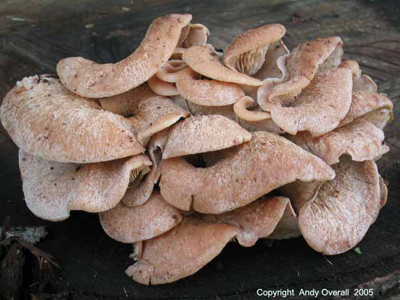 Hemipholiota populnea (pers.) Bon [Pholiota destruens] was another rare and new record for myself and Hampstead Heath. The picture doesn’t actually do this species justice as it can be quite stunning when younger with a fluffy/woolly stem and cap, which you can see the remnants of in the pic. This species favours old poplar trees upon which this specimen was recorded. * A fungiphile is a lover of mushrooms. *A Mycologist is someone who studies fungi as a profession. *A mycorrhiza is a symbiosis between a fungus and the roots of a plant or tree. *Lignicolous fungi are those that are associated with dead wood.